This is a non-refundable deposit to reserve a quarter beef from our Spring 2019 harvest season. Your meat will be ready for your freezer early May. 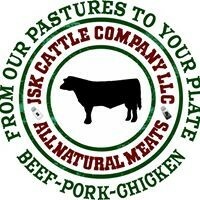 Once we pick up your beef from the butcher, you will be billed $8/lb boxed weight of your beef minus your pre-paid deposit. The average boxed weight (the amount of beef you take home) is 100-125 lbs. This price includes the fees from the butcher. Our beef is 100% grassfed and grassfinished. The rich flavor and tenderness are amazing. You’ll have an incredible eating experience and reap the many benefits of eating grassfed beef raised using sustainable methods.